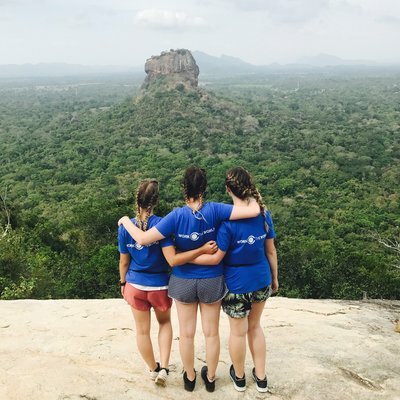 We chose to travel to Sri Lanka for our overseas placement, and to help pay for it we did quite a bit of independent fundraising. Car boot sales, tombolas, raffle stalls... we asked friends and family to provide the prizes for the latter, and the best prize was a week in a family holiday home! We also held a race night where we played videos of horse racing in a big hall, and guests were invited to place bets. we put half of the money raised towards our placement and the other half went towards the prize money for the night. Living in the Work the World house was like moving in with a new family. When it came to the team, we felt like there was nothing we couldn’t ask them, no question was too stupid. They gave us loads of information around planning weekend activities and totally supported us with our placements. Anything we wanted, the team went out their way to help make sure it was done. Our housemate’s birthday fell on one of the days we were there. She’d never had her birthday away from her family before, so the Work the World team had a cake made for her. 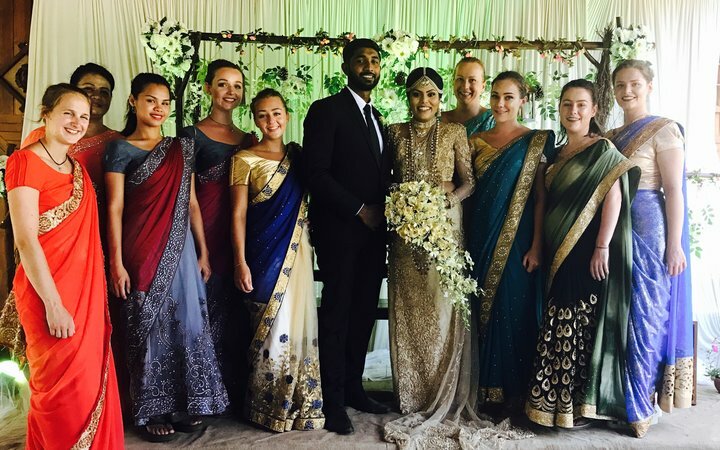 During our time in Anuradhapura, we were also invited to the wedding of one of the Work the World team members, which really was a once-in-a-lifetime experience. The staff took us to the dress makers and helped us buy the sarees we needed to wear for the ceremony. It was a beautifully colourful wedding, and everybody had an amazing experience. It was totally different from any wedding we’d ever seen in the UK! With regards to our housemates, it was nice to be able to talk to like-minded people from other universities and countries. We got to know about their healthcare and education systems too. We were all having a shared experience , which meant we were able support each other throughout. While we were on placement, we saw a groundbreaking leg transplant. A young farmer needed a new leg after being involved in an RTA, and another patient's brain had recently been confirmed dead. The wife of the latter gave consent for her husband to be taken off life support and the leg donated. The leg transplant was from the thigh down, and was a success. It was the first of its kind in the country! We also spent time in the Physciatric Ward. It was a challenging time as using ECT for depression is common. In fact, ECT is the first line of treatment for these patients, and medication is rarely used. We knew that there were alternative treatments, but they weren't on offer as they didn’t have access to them. 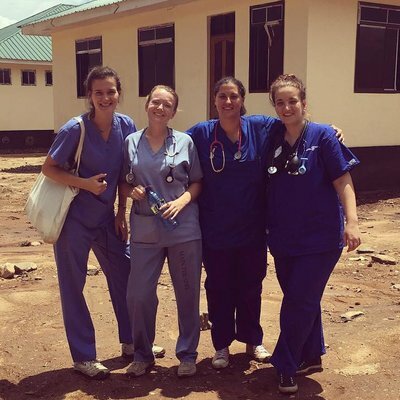 It was important for us to remember that this was the norm in the Sri Lankan healthcare system. 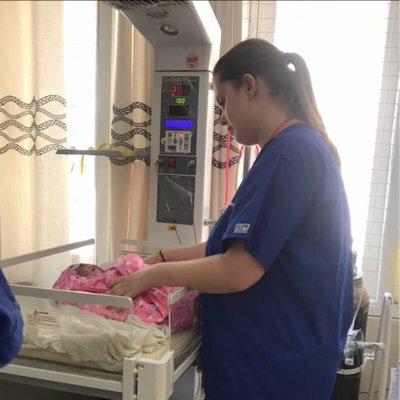 The labour ward was brilliant, and seeing a baby being born was a real privilege. The setting was different from what we were used to in the UK. In the hospital in Anuradhapura there were no birthing partners and women only had doctors and midwives around them. The layout was just one big room, which meant there was no privacy. This was challenging, as some women were giving birth to stillborn babies in front of other mothers. The whole experience was really fascinating as we had never been exposed to anything like it before. It was a rare opportunity because, as adult nurses, we don’t normally see what goes on in the labour ward. Again it was important to remember that the environment is low-resource and that was just how things were done. Local staff were using the resources they had to the best of their abilities. In truth, we thought conditions were going to be a lot worse than they were. In ICU, for example, the equipment was outdated but it did exist. 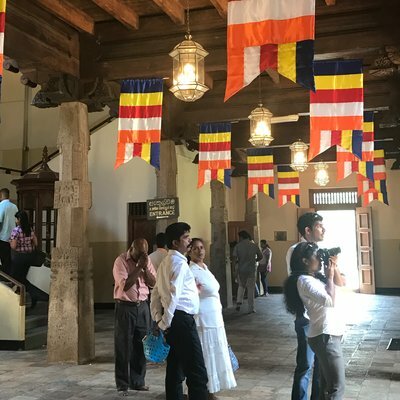 Having said that, there were differences between Anuradhapura and what we were used to at home. 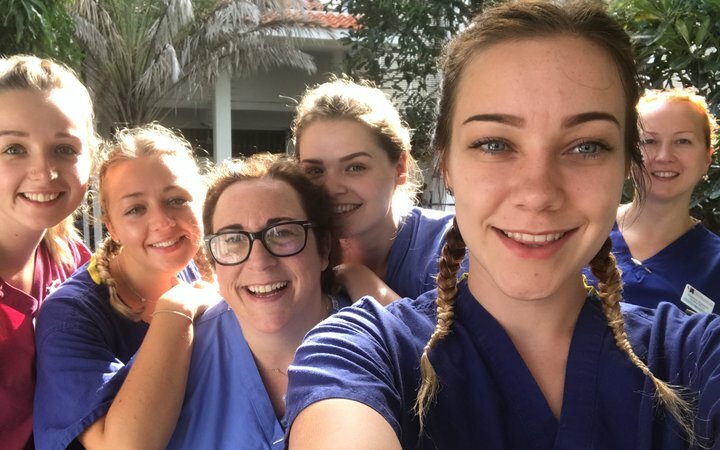 Sometimes equipment would break, and what we have as standard treatments in the UK are often considered a luxury in Anuradhapura. One example would be the basic blood test we use in the UK to see if someone has had a heart attack. This is something that patients have to pay for in Anuradhapura, so lots of heart attacks go undiagnosed because patients often can’t afford the test. Theatres were also different when compared with the UK. Two surgeries were often performed at the same time in the same room, so there was neither privacy, nor any real concern for infection control. 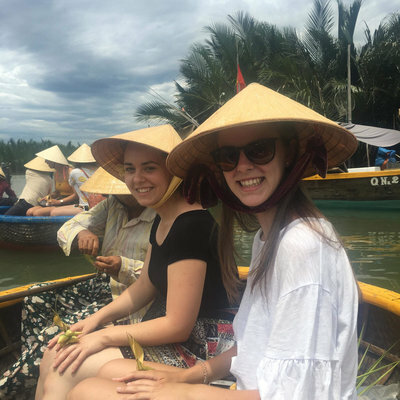 In the afternoons after placement, we went to the pool in a hotel a couple of minutes walk up the street, we went shopping in the markets, and hired bikes to go sightseeing in the nearby Sacred City. 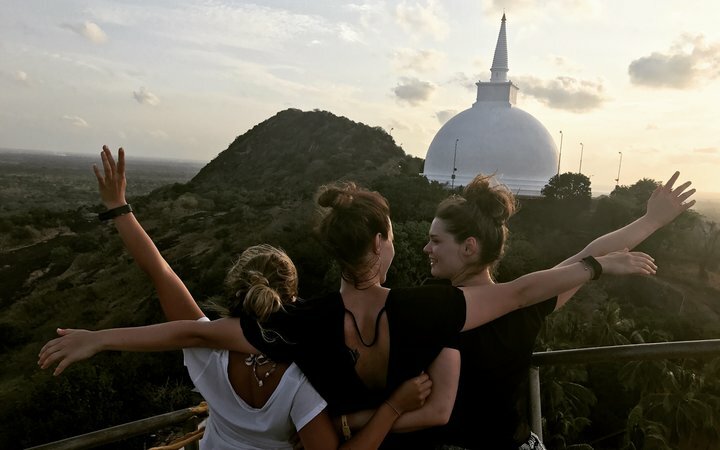 During the weekends we travelled to places like Trincomalee for the beautiful beaches, and to Kandy City. We also went on the Ella to Kandy train ride (beautiful! 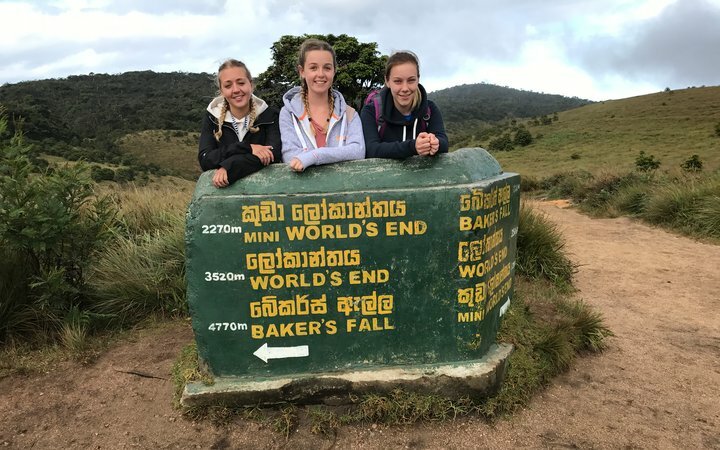 ), climbed Adam’s Peak, travelled to Negombo, walked to the top of Sigiriya Rock, and went to a national park to see wild elephants. One particularly standout memory was when we went swimming in the sea in the early morning. We saw loads of shooting stars—or raining stars as they’re called locally—because there was hardly any light pollution. To give you some advice, we would say ‘do it!’ Go into it with an open mind, and learn as much as you can.